* All of the photographs in my portfolios prior to 2008, were created with a 4"x5" view camera or a medium format 2 1/4 cameras utilizing traditional photographic films and chemical processing. 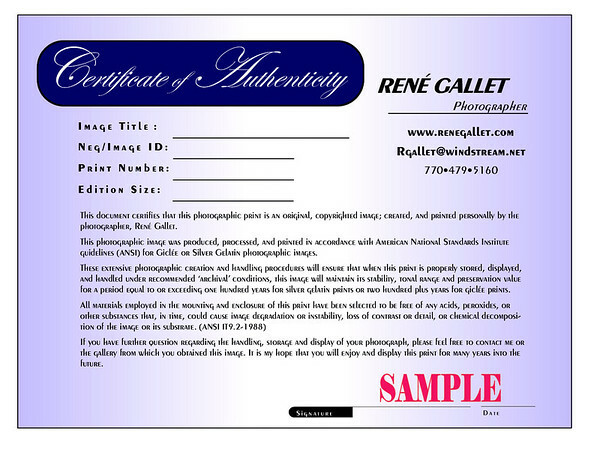 * Recent images have been created with a high definition, digital, DSLR cameras and printed using high resolution, archival Giclée printing techniques, materials, and systems. * A majority of the color images within these galleries can also be printed as high quality monochrome prints (black & white). 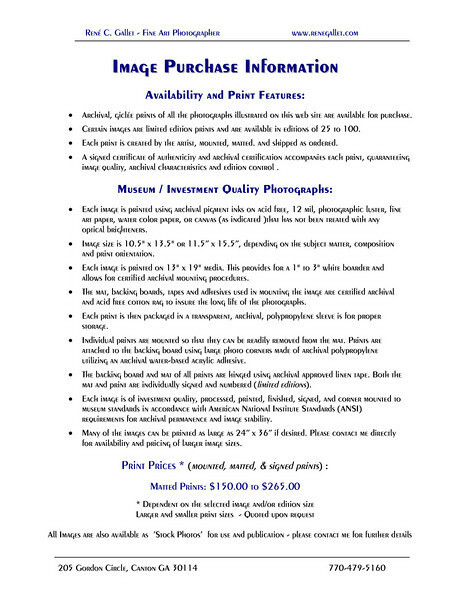 Contact me if high quality, monochrome, giclée images are desired. 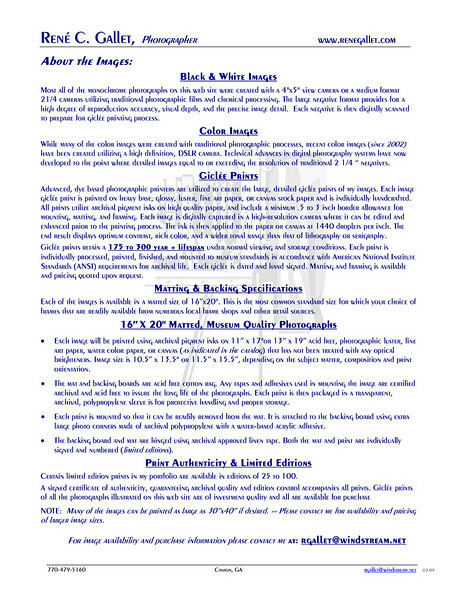 *** Please note that the fine art images that you see on a computer monitor have much lower resolution and often have slight color variations from the actual prints. 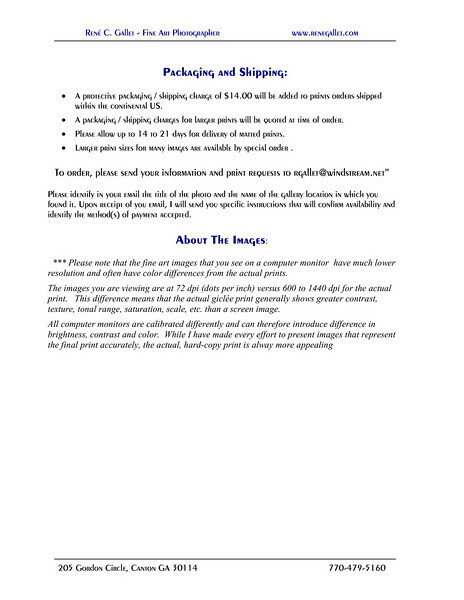 NOTE: The images you are viewing in this web site are displayed at 72 dpi (dots per inch) on your computer monitor versus 300 to 1440 dpi for the actual print. This difference means that the actual giclée print generally shows greater contrast, texture, tonal range, saturation, scale, etc. than a screen image. All computer monitors are calibrated differently and can therefore introduce difference in brightness, contrast and color. While I have made every effort to present images that represent the final print accurately, the actual, hard-copy print is even more appealing.